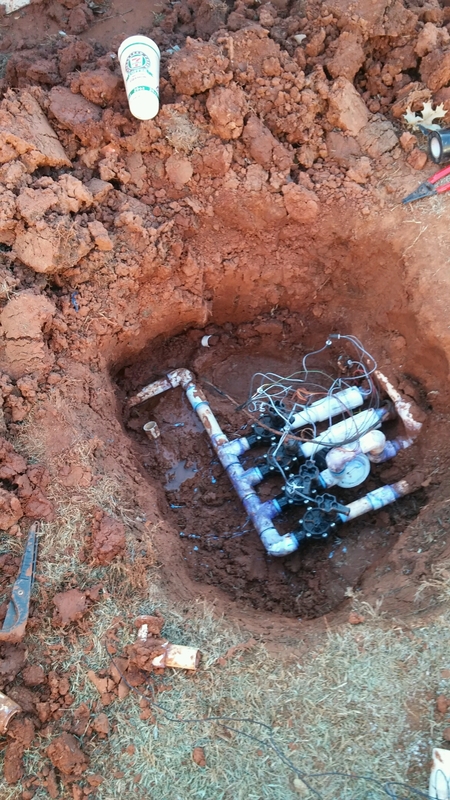 CMG Provides Expert Sprinkler Repair for: Sprinkler Valves, Sprinkler Heads, Sprinkler Controllers, and the most common problem, Sprinkler Pipes or Sprinkler Leaks. 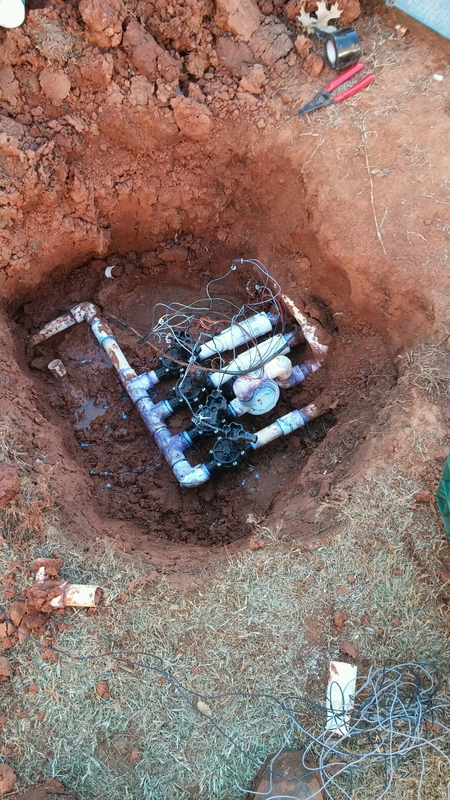 Sprinkler Repair Service is provided for: Oklahoma City, Norman, Edmond, Yukon, Mustang, Moore, Midwest City, Blanchard, New Castle, and all surrounding areas. Sprinkler Repair is also very popular this time of year. Folks in Central Oklahoma are turning on their Sprinkler Systems and discovering problems. CMG Sprinkler Repair Specialist have been busy. 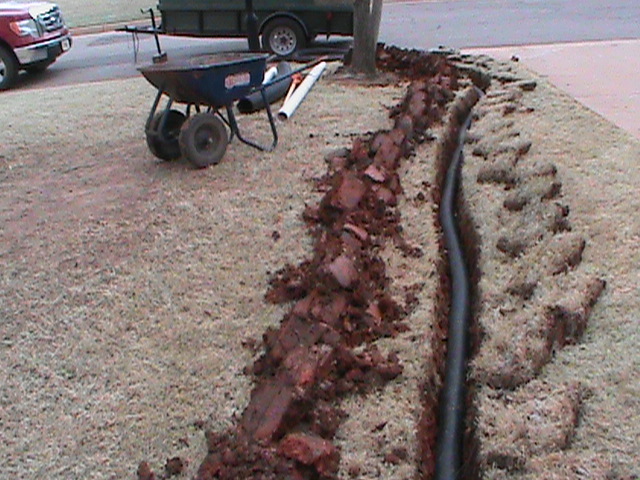 We fixed several leaks in a Sprinkler System in Edmond. The sprinkler pipes were leaking in several places. Each leak had to be cut out and replaced. The Sprinkler System was fairly new. It was installed last summer by a Pool Company that also installs cheap sprinkler systems. All the joints in the sprinkler pipes were glued together with clear PVC Cement. That part is OK, But they cut some corners and didn’t use PVC Primer with the glue. As a result the joints didn’t bond very well and many of them blew apart this spring when the sprinkler systems was turned on. (Thus all the leaks) I suspect we will have to go back several times to fix additional leaks. We can only warranty the PVC joints that we have replaced. Cheaper isn’t always better. Now is a great time to consider a new Lawn Sprinkler Irrigation System by CMG. CMG Sprinklers and Drains installs top of the line Sprinkler Systems that are dependable and last for decades. Yes, I said decades! We warranty our sprinklers for two years, but we build them to last much longer. We started small in Norman in 1993. The sprinkler systems installed that year, to my knowledge are functional and going strong. 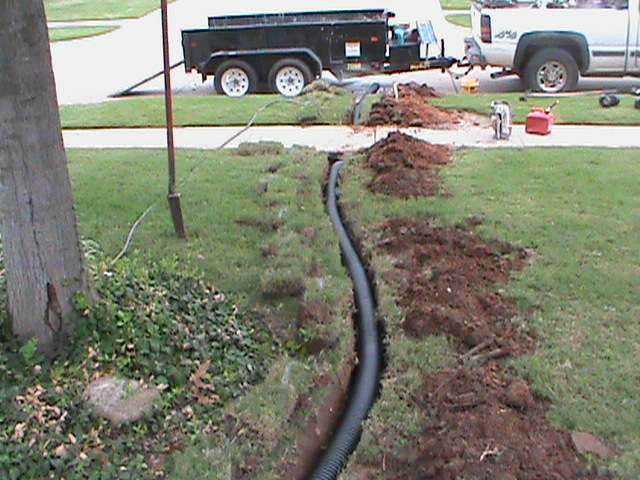 Installing a back-flow-valve in east Norman. CMG designed sprinkler systems are fully automatic and self-draining. When the sprinklers are not running, the system automatically drains the sprinkler pipes under ground. If it gets cold there is no water in the sprinkler pipes to freeze. CMG is gearing up for a busy year. This winter has been unusually warm. As a result, we are getting more calls earlier in the year. Services provided by CMG carry a two-year warranty for parts and labor. 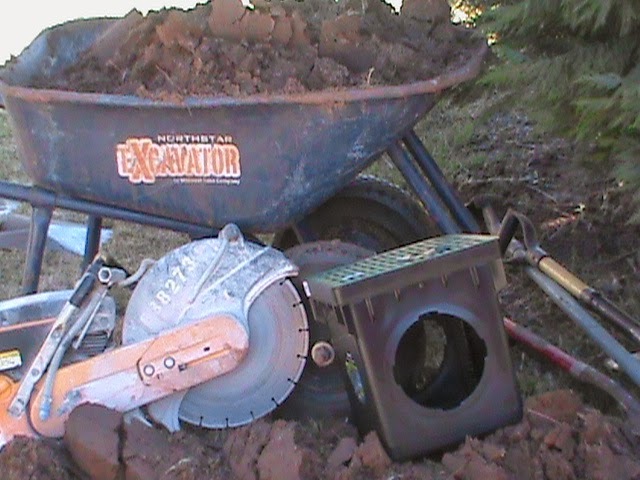 This includes Sprinkler System Installation, Sprinkler Repair, and all Drainage Systems including French Drains, Surface Drains, and Channel Drains. Wow, we have a new twist on sprinkler repair. Broken sprinkler pipes occur for all kinds of reasons. Sprinkler Pipes break because: 1. They freeze (usually due to poor installation) 2. Cars or trucks drive up in yards and break them. 3. They blow apart under pressure (usually because primer was not used when the pipes were glued together). This year we have had a lot of calls to fix leaking or broken sprinkler pipes due to Earth Quake Damage. I would expect that in California, but Oklahoma? 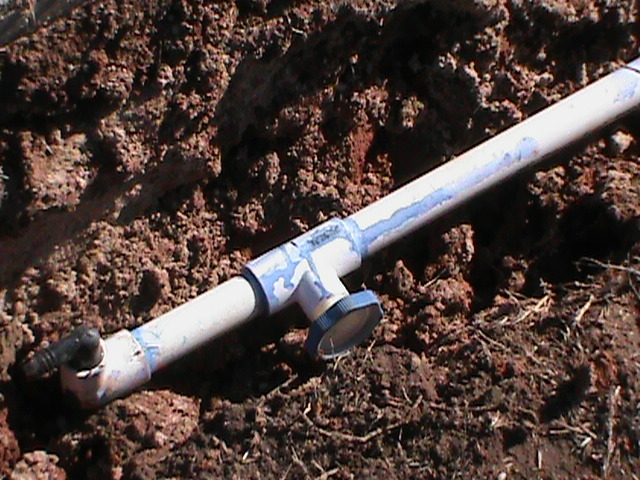 Since 1993 CMG has fixed sprinkler systems for all kinds of reasons. Earthquake damage is something new. Sprinkler Systems are very complicated. Large Sprinkler Systems will have more moving parts than a car. 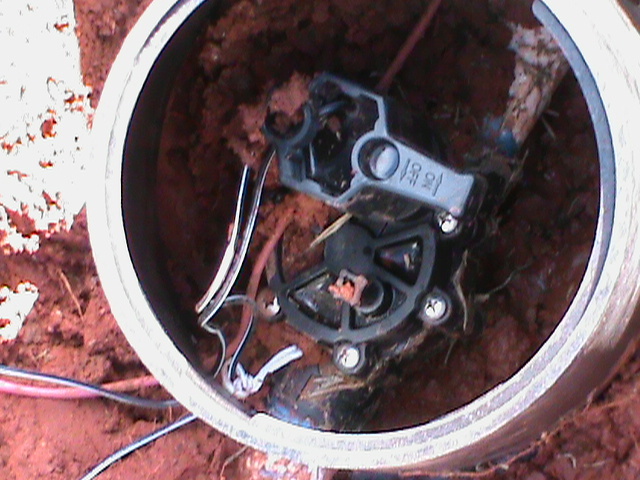 Maintenance and Sprinkler Repair are required for even the best Sprinkler Systems. If you live in Norman and have broken sprinkler heads, Give CMG a call. If you live in Edmond and your Sprinkler Controller has stopped working, Give CMG a call. If you live in Oklahoma City and have dry spots all over your yard, Give CMG a call. This is our 20th year in business. There is no substitute for experience! 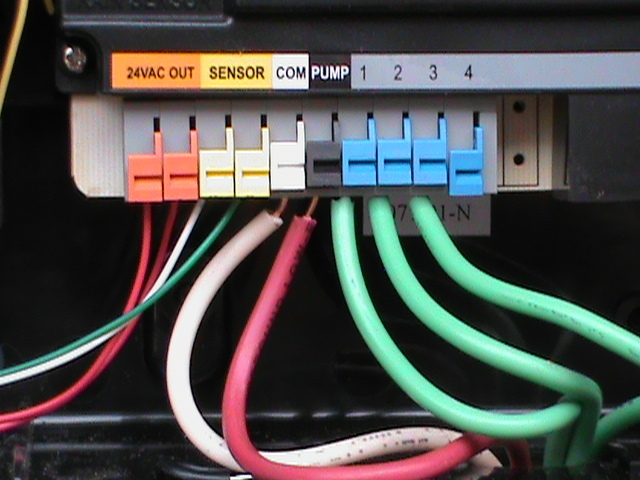 Sprinkler Controller needing repair in Norman. 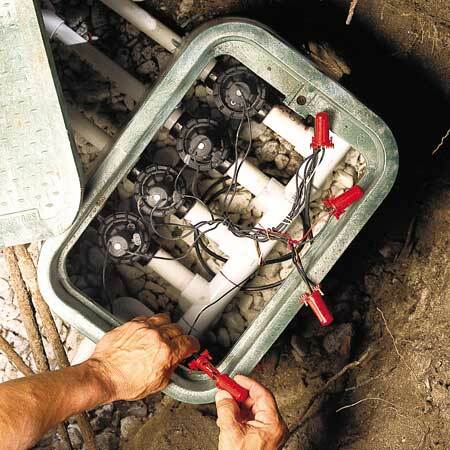 Lawn Sprinkler Systems developed problems and need maintenance from time to time. 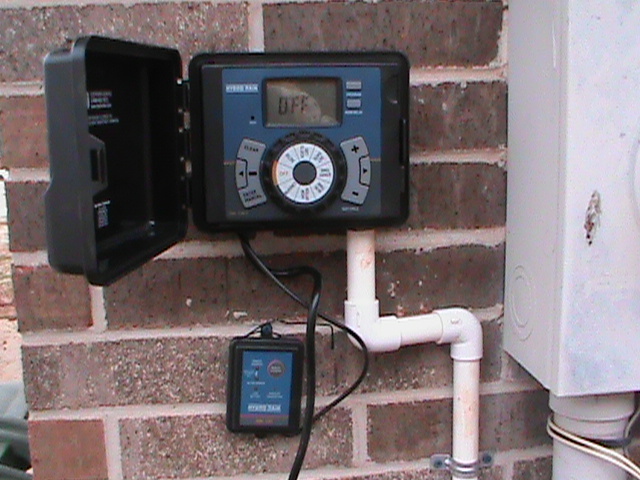 CMG can help with small sprinkler problems such as a broken sprinkler head or a sprinkler controller programming problem. We also deal with larger sprinkler problems like redesigning sprinkler zones or replacing sprinkler valves. CMG also does sprinkler systems checkups to test your irrigation system for possible problems that you may not be aware of. CMG Sprinkler and Drain also installs New Lawn Irrigation Systems. Since 1993 we have installed Sprinkler Systems in: Oklahoma City, Norman, Edmond, Midwest City, Del City, Moore, Yukon, Mustang, Purcell, Newcastle, and surrounding Central Oklahoma. Our sprinkler systems carry a 2 year warranty for all parts and labor.